How to Measure Fabric Color Fastness in Textile and Apparel Industry? What is Color Fastness in Textile? Color fastness is defined as strength of the clothes against fading or running out of clothing colors. It is a very important factor in assessment of quality of clothing. Clothes that don’t bleed color are always consumer’s favorites. You may also read What Types of Quality Control Tools & Equipment Used in Apparel Industry? Measurement of colorfastness is a very important factor in textile industry because the resistance of any clothing to fading is what makes it outstanding. Type of conditions to which clothing is exposed. 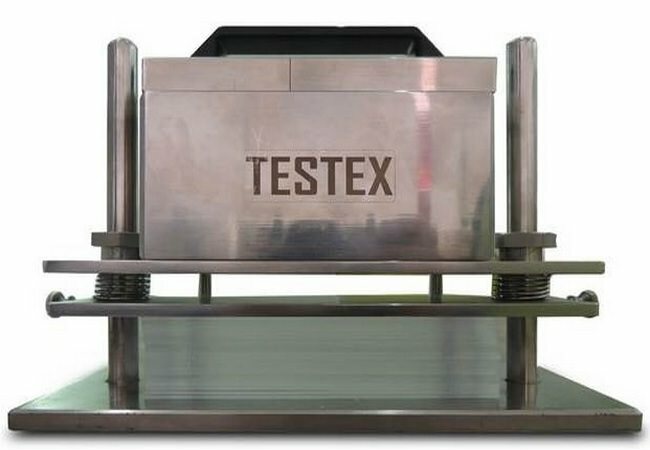 It is a process used to test color fastness to washing or rubbing by an accelerated method. This device is used by textile industry to simulate industrial procedures. During this process, clothes are put in containers with detergents/cleaning agents and metallic balls for friction and then evaluated for colorfastness quality. It is used to test the resistance of clothing colors to water and perspiration. Solutions similar to sweat in the composition are used to wet clothes and then pressure is applied to them. In this way, color fastness is assessed via visual or instrumental means. This device tests colorfastness to dry or wet rubbing. 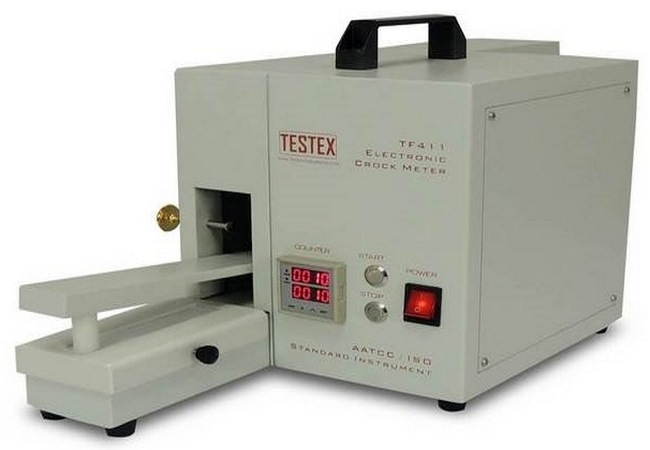 Nowadays, electronic crock meter is used in textile industry instead of mechanical one. It is used to access colorfastness visually. 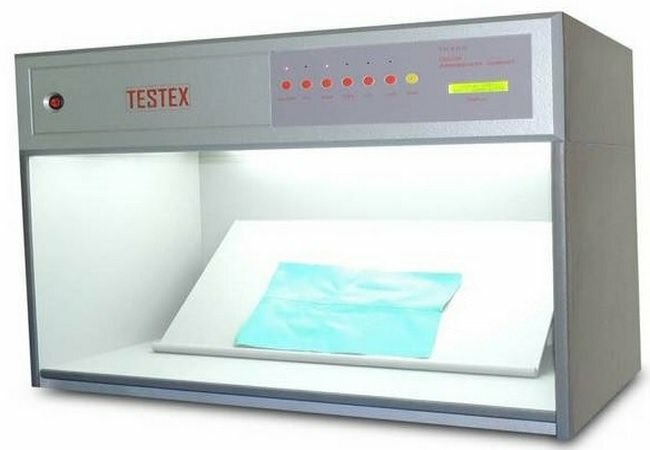 Fabric that undergoes minimal color discoloration when exposed to all these agitating forces is said to have great color fastness whereas the fabric which undergoes a lot of color discolorations during these tests is said to have poor color fastness or color strength. This is a machine used to test colorfastness against sunlight. Artificial lights used for this purpose and number of hours to which clothes were exposed to this light are evaluated. Also used to test color fastness against washing of clothes. 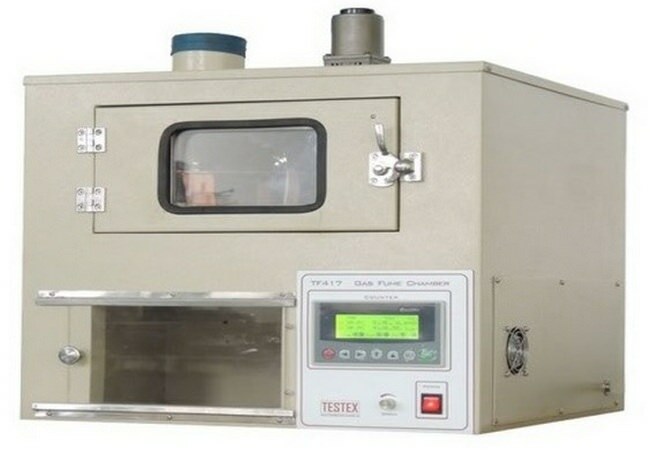 It is a machine used to determine color fastness against frosting. It usually depends on the dye penetration in clothes. Nitrous oxide is always present in our atmosphere which is a result of burning fumes. Colorfastness can be affected by this chemical, in this chamber, clothes are exposed to nitrous oxide and evaluated for color fasting strength. There is also a standard scale to measure color fastness correctly, it ranges from 5 to 1. 5 on this scale mean no color change after exposure to all kinds of agitating agents, whereas grade 1 involves large amount of change in original color of clothing. Scale for colorfastness to light varies a little; it ranges from 9 to 1,9 being the best score whereas 1 is the poorest score. You may also read How to Test Fabric Sewability in Apparel Industry? Despite all these procedures used to test colorfastness in the textile industry, the consumer should follow all guidelines given by manufacturers to prolong the strength of colorfastness e.g. clothes should be washed with appropriate chemicals and water temperature should always be optimized. It is a sponsored post published by TESTEX.